I chose my derby because me and my mom are Nightmare Before Christmas fans. And I chose my number because 423 is my birthday. My mom started playing before me and I went to all her practices and all her teammates convinced me to try it. What position do you play/enjoy the most? I enjoy every position on the track. I love the friendships that I have made and I love the sport itself. 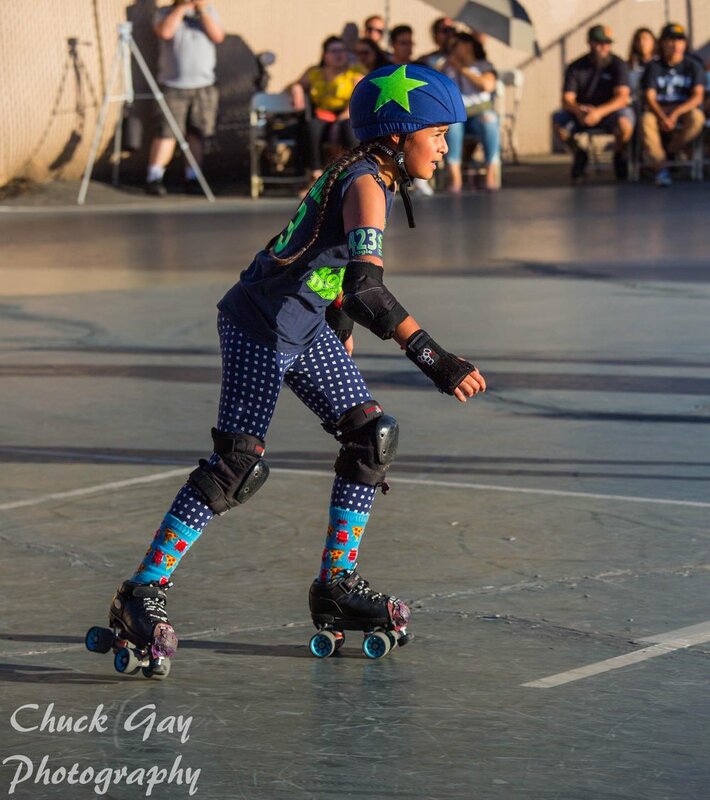 The best memory I have at the track is when Tiger Lily’s skate flew off while she was jamming. My friends and family think I am brave, strong and good at it.